Casa de Campo Resort and Villas creates paradise on a grand scale – across 7,000 acres featuring large living spaces for groups, and luxurious suites for couples and families. Tons of space means room for top-notch golf as well. And top-notch, in this case, means some of the best golf in the entire world. 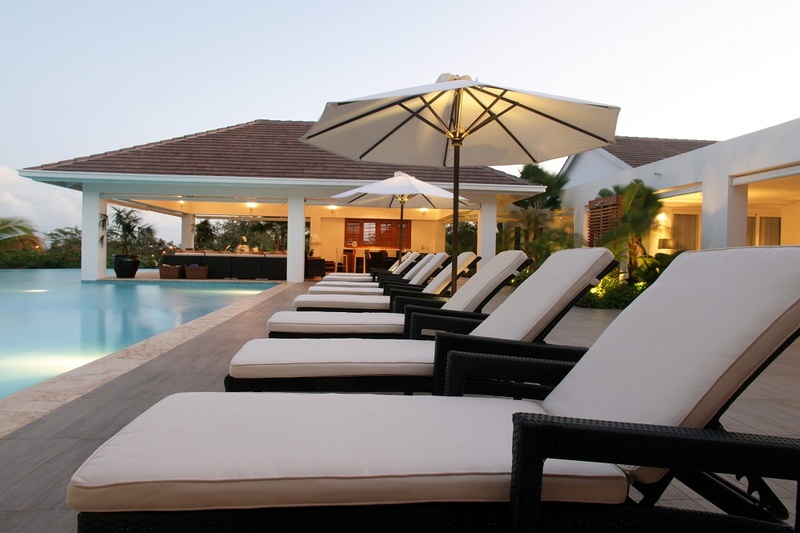 With spacious villas, unique activities and features, and gourmet cuisine as well, it is the ideal island getaway. 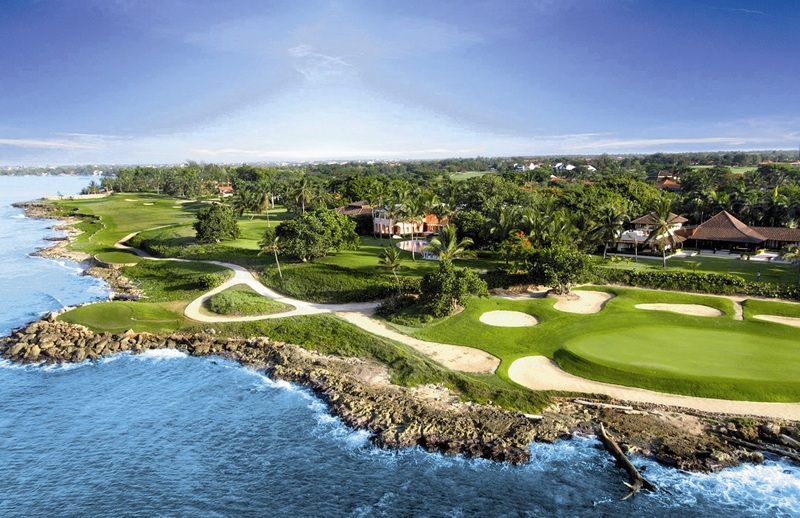 Casa de Campo is home to legendary championship golf course Teeth of the Dog, one of the highest ranked courses in the entire world and #1 in the Caribbean. Self-proclaimed as his best course, Pete Dye’s masterpiece is a landmark in the golf world and worth the trip just to play a round. Completed in 1971, it’s held the test of time, remaining a masterpiece today. A thrilling course that hugs the sea, Teeth of the Dog is partly about the golf and partly about the breathtaking views, carved out from the rugged rocks and Dominican coastline. It’s also thrillingly difficult, hence the menacing sounding name – so don’t get too hard on yourself. It’s OK to blame that ocean breeze for the ball going into the water. If playing one of the best courses in the world isn’t your thing – or you want some variation on your golf getaway – Casa de Campo has two more courses on the expansive property including Dye Fore and The Links, both designed by Pete Dye as well. Dye Fore offers up 27 holes, including seven cliff-side with drops upwards of 300 feet to the Chavón River below. The Links takes its inspiration from the British Isles, 18 holes with spectacular views of rolling hills and the ocean. All three are proudly difficult, but you’ll be in paradise, where relaxation comes easy. What better place to take on a tough course? 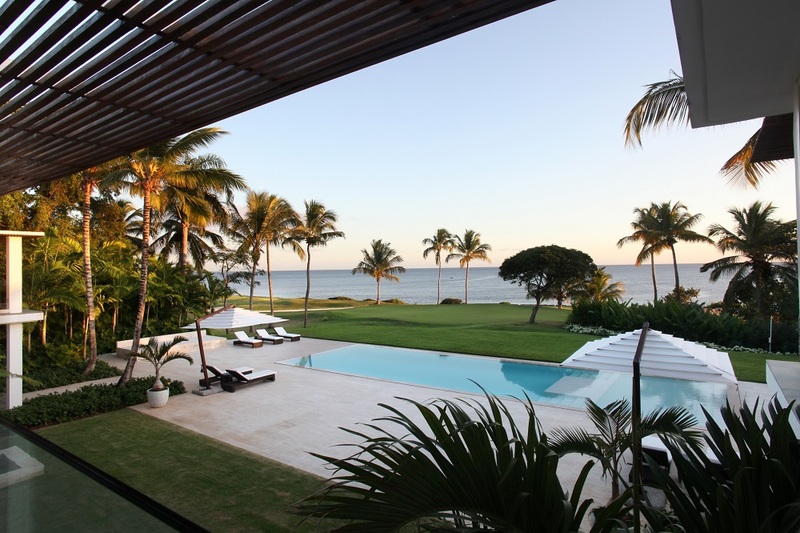 Bring the whole group or make a golf outing to remember by staying in Casa de Campo’s luxury villas. These spacious private homes allow guests to experience the Caribbean in ideal comfort and luxury, from garden view villas to oceanfront dreams come true. The dining options here are so vast, the resort even hosts a rotating event called Flavors of the World, a gastronomic journey through tastes and flavors ranging from casual bites to gourmet to all out fine-dining. Internationally renowned chefs take part, joining forces with the resort’s culinary team to create special, weekend-long food fests. This year, Flavors of the World will feature top chefs from Chile, Bolivia, Argentina, Venezuela, Brazil, and Peru, who will all infuse the cuisine on site with their unique approaches to gastronomic bliss. And you can always expect to be wowed by the culinary team year-round at the seven restaurants located on the property. At Minitas Beach Club & Restaurant, enjoy casual Mediterranean and Latin American culinary traditions in a stunning beachside setting; elegant Mediterranean at La Caña serves up fresh seafood, juicy steaks, and pastas; La Piazetta is where you can indulge in your favorite Italian dishes, overlooking stunning Altos de Chavón (a 16th century replica village) in a romantic setting; Lago invites you to discover authentic Dominican cuisine with unbelievable views of Teeth of the Dog and the Caribbean Sea – putting new meaning to eating local (we suggest catching the sunset here just as the last players finish up at the eighteenth hole); La Casita is tapas central, with only the freshest seafood used in paella and other classic Spanish dishes; Pubbelly Sushi is a quaint sushi tavern created by Jose Mendin, founding partner of Pubbelly Restaurant Group, using an imaginative menu that features quirky dishes like tuna pizza and delectable sushi rolls; and if you need a quick bite, the Epicure Food Truck was designed to provide bites on the go, ranging from ceviche to hamburgers to Argentinian choripán. With a range of other nearby dining options and enough bars to have a bar-hopping adventure, here you’ll really find it all. 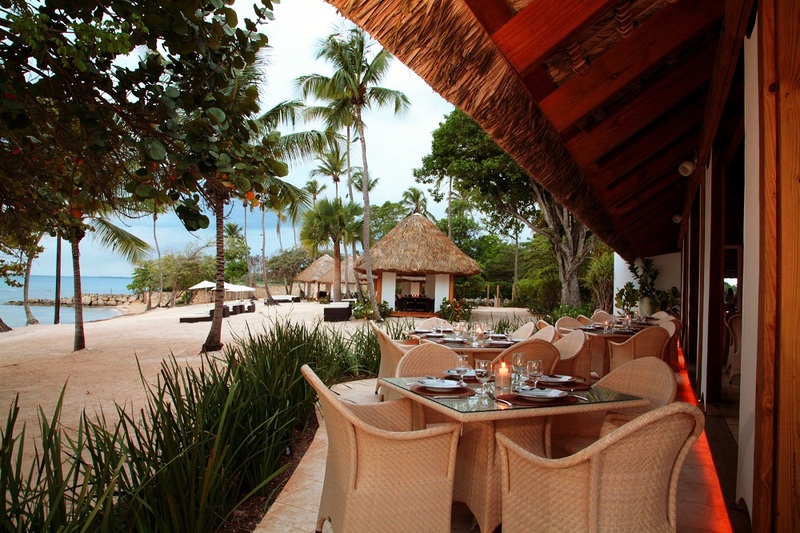 To simplify the culinary experience, enjoy the Casa de Campo Inclusive Experience, for an extensive immersion into the cuisine of the resort in an all-inclusive style. Though a golfer’s dream, this stunning resort offers other fun activities that include tennis, polo, live entertainment, spa treatments, and fishing excursions. 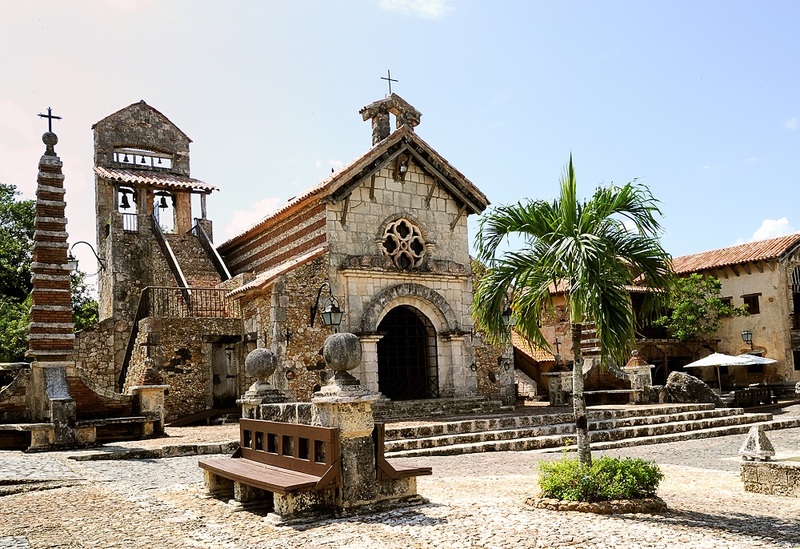 Guests can also enjoy a casual stroll through Altos de Chavón or can visit the expansive marina. The secluded Catalina and Saona Islands are also perfect for a relaxing time. But if golf is on your mind 24/7, why not just play at night, too? Night golf at Casa de Campo lets guests tee-off with LED golf balls that will light up the sky, soaring through the darkness towards luminous targets across a driving range, plus a short game chipping and putting contest for a prize, all paired with music, BBQ, and cocktails for an amazing way to wind things down for the day. With all these activities, this level of luxury and fun is truly unrivaled. Swing into a new kind of paradise at Casa de Campo, where the natural beauty of the Dominican Republic is the backdrop to endless excitement, enjoyment, and total relaxation.